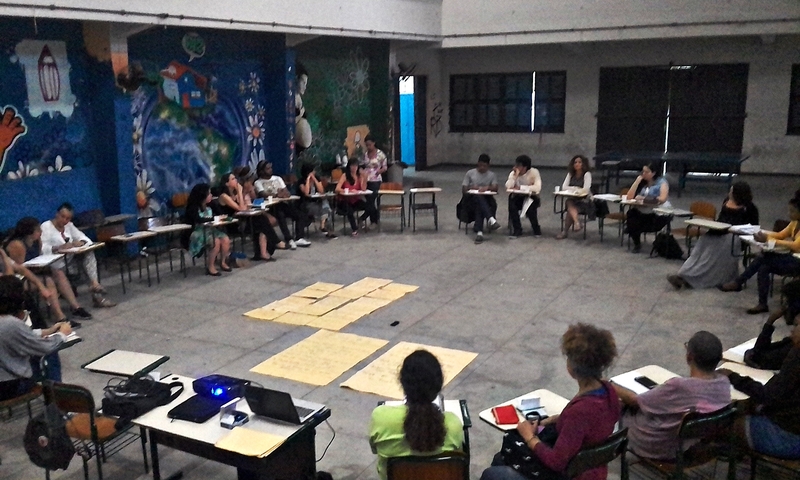 Last saturday, I participated in a meeting entitled “To whom and what for are academic research conducted in favelas?” (page in Portuguese) The event happened at a public school in Manguinhos, a favela located at the low-income North Zone of Rio de Janeiro. After having inspiring talks, I returned home with a sense of relief, satisfaction and renewed strength to keep struggling for the construction of a more inclusive academic environment and for a more diverse and more participatory social science research. Favela residents, especially youth, have used online and offline media against human rights violations for a while now in Rio. Media technologies and journalism techniques have been increasingly important components of the struggles of low-income, peripheral populations. In this article, Dr. Leonardo Custódio shares results of his doctoral research on the growth in political organizing thanks to favela media activists since Rio was announced host to the 2016 Olympic Games. Text originally posted on Rio on Watch. See here.